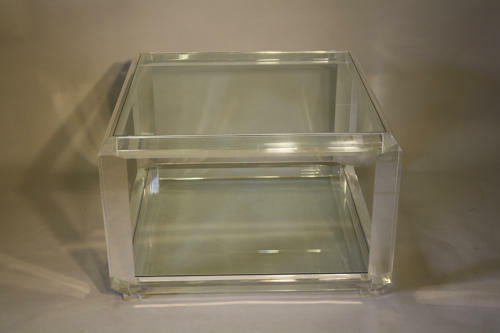 A very sculptural chunky lucite framed two tier glass coffee table. Great quality as well as being simple and elegant. Italian c1970. Difficult to photograph here - hence lots of light reflection!